In stark contrast to the cold nights we are having here it is carnival weekend in Brazil which takes me back to when I lived in Recife, A City in the North East of Brazil…It was 33c every day and carnival was crazy!! I had fun coaching rugby out there and living by the beach. 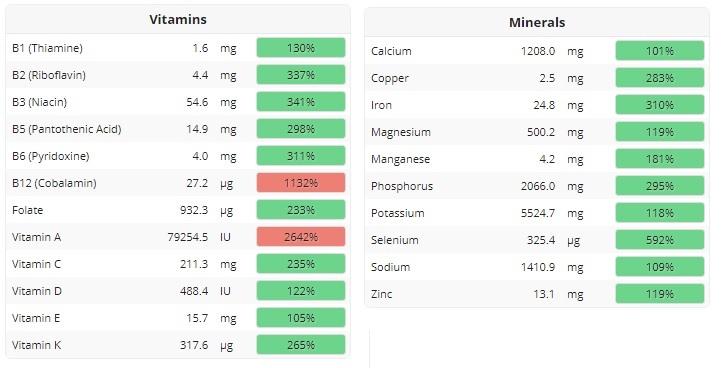 It is important as an athlete to hit your ideal vitamin & Mineral intake. To help you I have created a meal plan for you to get all of your need in one day of eating. This plan has regular small meals and it is a balanced meal plan in that there is a fairly even protein to carb to fat split. 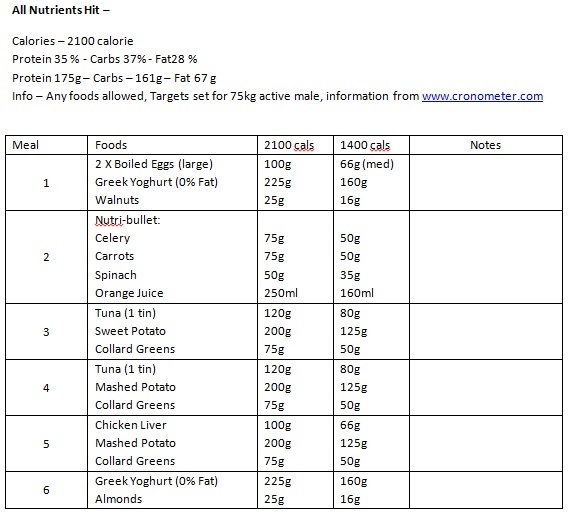 Setting balanced nutrient plans is a tricky issue between getting your nutrients vs eating roughly normal foods. Eating just the most mainstay foods within our diet usually misses out on certain nutrients. The flip side is that if you really go after the main nutrients you will have a crazy plan that not many people would want to eat. Calorie and especially micro-nutrient counting are not an exact science with wide range of factors that affect the data. So use this for illustrative purposes and continue to eat a varied and balanced diet. Targets are set for 75kg active male, information from cronometer.com for the 2100 calories. For lower calorie amounts use the 1400 calorie figures or higher numbers increase portion sizes.